Bio-Tech Medical Software, Inc. dba BioTrackTHC™, the leading provider of seed-to-sale cannabis tracking software solutions for state governments and the private sector, did not authorize the presentation made today by independent contractor Peter Holzworth regarding the company and reported in the article below. Many of the statements made in the presentation, including all individual names and financial information, are not accurate and do not represent the views of BioTrackTHC™ management. Mr. Holzworth’s relationship with BioTrackTHC was terminated earlier today, Thursday November 19, 2015. Information contained in the presentation is not to be relied upon for any purpose. Any further questions may be directed to Patrick Vo, CEO at 1-800-797-4711. Peter Holzworth, the Director of Investor Relations at Florida-based BioTrackTHC, presented at the Cannabis Investor Webcast on November 19th. He provided background on the company, detailing the penetration of several states that have awarded the company a contract. Most recently, New York mandated that the 5 licensed producers use BioTrackTHC for its seed-to-sale software. Holzworth predicted that sales could grow 300% in 2016, exceeding $40mm. He based this forecast on growth in Washington and the state contracts as well as new products. Holzworth discussed several initiatives, including KushFair, a B2B virtual market place, and iKush.com, a B2C site similar to WeedMaps and Leafly that the company expects to launch soon. 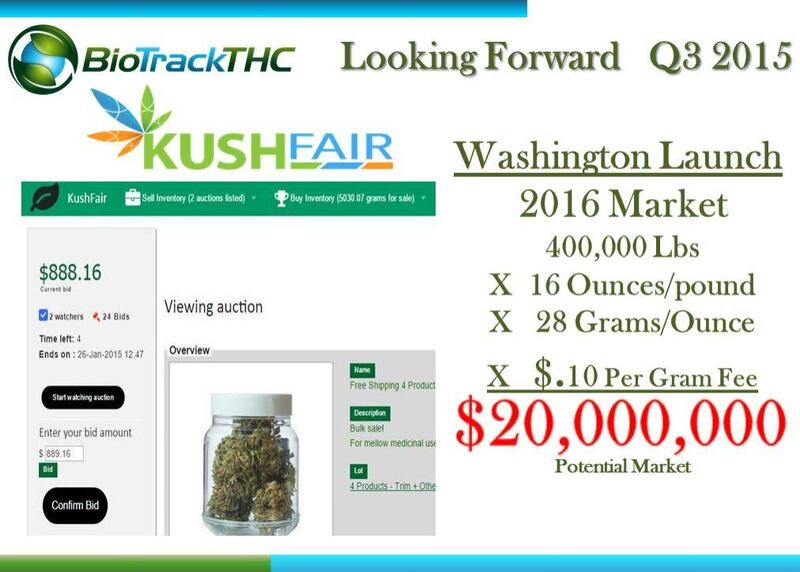 KushFair™ syncs with the core BioTrackTHC® Commercial system to maintain a historical record of every transaction. 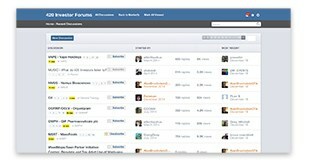 This way, users can safely list or bid their inventory for auction. Once a product is selected for auction, users determine the quantity available, package sizes and transport requirements. A prepopulated transportation manifest is included with each product for submission to the relevant Regulatory Agency. Holzworth stated that Amercanex, a potential KushFair competitor, is violating federal law by selling seats in states where cannabis isn’t legal. He also criticized the company’s requirement that cash be handed over to a third-party. Holzworth also detailed an issue with Medbox, which he said resulted in litigation resolved favorably for BioTrackTHC and distanced himself from the company. He discussed significant international activity, including licensing in Jamaica and a project in Israel. 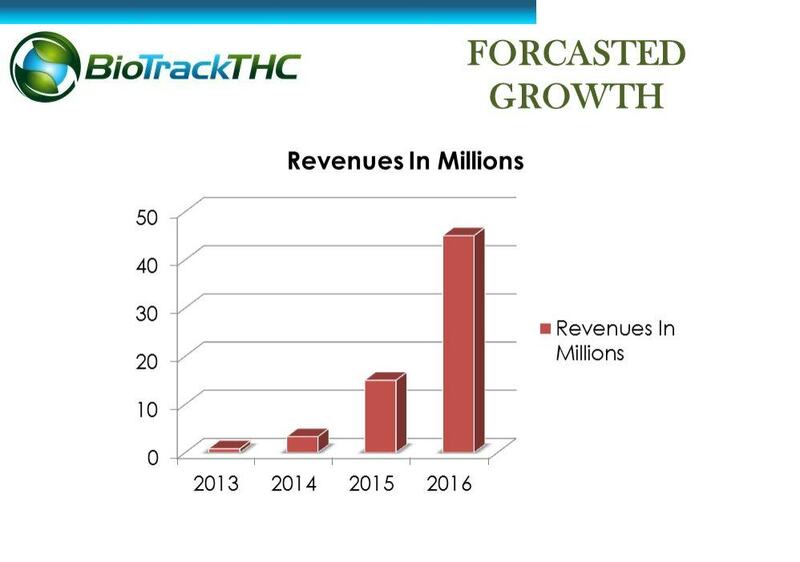 BioTrackTHC is raising capital representing about 5% ownership in the company. Several large investment banks, including Goldman, Sachs, have had discussions but the company intends to remain private until revenues exceed $100mm. Steve Case (of AOL), through Greenfield Capital, was an early investor. There are only 8 investors at present. Holzworth said that large companies like Oracle have the company on the radar too. Finally, with respect to competition, he said that the company is twice as big as MJ Freeway and that it is taking 11 customers per month from them.